Institute of Cognitive and Evolutionary Anthropology, University of Oxford, 64 Banbury Road, OX2 6PN, Oxford, United Kingdom. Abstract | Social scientific research on religion (and related phenomena, including nonreligion, atheism, and secularity) is invariably prefaced by sheepish attempts to define these terms, followed by apologies for the inevitable inadequacy of the proposed definitions. This paper argues that scholars of religion and nonreligion should accept the fact that “religion” and “nonreligion” are, like all social scientific concepts (and some biological ones), fuzzy categories. There is no such thing as religion, such that the term “religion” picks out all and only all examples of religion, or specifies the necessary and sufficient conditions for counting as religious. Rather, there are causally and phenomenologically distinct phenomena—such as the belief in supernatural agents, participation in rituals, formation of non-kin groups, obedience to moral codes, and so forth—that variously co-occur in packages we intuitively label as particular religions. Furthermore, these distinct phenomena are also present among ostensibly nonreligious (or secular) individuals and groups. Scholars of religion and nonreligion should therefore all but abandon the terms “religion” and “nonreligion”, and with them the clichéd definitional handwringing that typically comes with attempts at defining these terms. At best, they may retain their social functions—in names of departments, scholarly organizations, conferences, and journals, for example—but they have no legitimate scientific use. Citation | Jong, J. 2015. On (not) defining (non)religion. Science, Religion and Culture, 2(3): 15-24. The received wisdom in academic scholarship is that we ought to have good, clear, and sensible definitions of our key terms. Definitions are, as Worthington, (2007) is fond of saying, the fountainhead of knowledge. After all, if we cannot define our key terms, how are we to decide if some phenomenon falls within our scholarly remit? Might we not, unbeknownst to ourselves, end up needlessly examining irrelevant things or neglecting essential ones? So it is in the scientific study of religion and related phenomena, including atheism, secularity, and nonreligion. Before we can begin to describe or explain or evaluate religious phenomena, we have to have a way to identifying them; that is, we need a way to specify and delimit our field of scientific inquiry. With this in mind, social scientists interested in religion have always struggled with definitional issues (e.g., Berger, 1974; Durkheim, 1912; Spiro, 1966; Tylor, 1871); social scientists interested in atheism, secularity, and nonreligion now join their ranks (e.g., Bullivant, 2013; Lee, 2012). Unsurprisingly, efforts to define the latter terms have been more or less parasitic upon previous efforts to define “religion”. After all, “nonreligion” and “atheism” are clearly related to “religion” and “theism”. Even the cognate “secular”—from the Latin saecularis, meaning worldly—has a long history of being used as a contrast to “religious”; for example, in both Latin and Eastern Christianity, secular clergy are those that live and work in the world (saeculum), as opposed to religious or regular clergy, who belong to monastic orders. This paper takes as its point of departure Lee’s (2012) discussion of terminological issues in social scientific research on non-religion, in which she explicitly relativizes her definition of “nonreligion” to definitions of “religion”: “Non-religion is any position, perspective or practice which is primarily defined by, or in relation to, religion, but which is nevertheless considered to be other than religious” (Lee, 2012, p. 131)1. Furthermore, Lee proceeds to assert that “non-religion researchers stand to benefit from the tradition of controversy surrounding the concept [of religion]”. Just so; the task of this paper is therefore to draw lessons from historical and contemporary efforts to define “religion” and its cognates in the context of social scientific research, with an aim to ascertaining the limits of the definitional enterprise for the term “nonreligion”. To preempt my argument: I shall conclude that insofar as the term “nonreligion” is relative to definitions of “religion”—as it is in Lee’s (2012) case, there can be no definition of “nonreligion”. “Nonreligion” may retain a social function, but not a scientific one. M. E. Spiro opens his seminal 1966 paper—Religion: Problems of Definition and Explanation—with the distinction between real and nominal definitions, the former consisting of “true statements about entities or things” (Spiro, 1966, p. 86) and the latter merely involving “arbitrarily assign[ing] meaning to linguistic symbols” (Spiro, 1966, p. 86). While we are these days accustomed to speaking of defining terms or words (i.e., linguistic symbols; nomina), for much of Western philosophical history (cf. Robinson, 1950), the work of definition was to provide an account of the essence of things (res). For our forebears—beginning with Plato and Aristotle (e.g., Topics, Book I, Part 5), and continuing through to Spinoza (e.g., Ethics, I, Proposition 8, No. 2)—real definitions took priority. Since then, however, the tides have turned—at least since Locke (e.g., Essay Concerning Human Understanding, Book III, Chapter 3, 10) and Kant (e.g., Critique of Pure Reason, A727), and continuing through to the twentieth century (e.g., Wittgenstein, 1922; Whitehead and Russell, 1927)—and now definitions aim to declare the meaning of words or concepts. Nevertheless, the ghost of Aristotle haunts us still, and we intuit that the only adequate definition of religion is one which specifies the essence of religion, that lists the necessary and sufficient conditions for a phenomenon to count as religious. This is not to say that social scientists are explicitly seeking real definitions (though see Shaffalitzky, 2014), but it is to say that our efforts to figure out how the term “religion” ought to be used has been—rightly or wrongly—motivated at least in part by a latent essentialism. We are unwittingly Aristotelians, even while we are paid-up nominalists. Our essentialism regarding religion is perhaps most evident in the widespread assumption that the term “religion” refers to a thing, such that particular religions—Christianity, Judaism, Islam, Buddhism, Hinduism, Zoroastrianism, Jainism, and so forth—are examples of this thing. Concomitantly, religious studies scholars—including anthropologists of religion and sociologists of religion and psychologists of religion—all share this thing as our primary subject, albeit from different angles. On this view, the term “religion” should capture all and only all examples of this thing. Thus, the quests for real and nominal definitions are conflated and confused, and scholars remain obsessed with the possibility of watertight definitions to bind us all—and the phenomena we study—neatly together. This obsession remains despite prominent critical voices from within comparative religious studies, who have long argued against such naïve approaches to “religion”. In this vein, Smith (1962) memorably argued that “religion” was a European construct that served more as a political and ideological tool than as scientific or scholarly concept. Along the same lines, albeit for different reasons, Smith (1982, xi) pithily asserts that “Religion has no independent existence apart from the academy”. There is, even now, an on-going critical and discursive tradition from within religious studies that is well aware of the problems discussed here (e.g., Arnal and McCutcheon, 2012; McCutcheon, 2007). This paper tackles the problem of defining “religion” (and concomitantly, nonreligion) from a different angle, that of recent cognitive and evolutionary approaches to the anthropological and psychological study of religion. Before we turn to the cognitive science of religion, let us take a closer look at some of the problems with essentialism about “religion”. Essentialism about scientific categories is, like most metaphysical matters, difficult to disprove. While it is perhaps uncontroversial to deny that there is a Platonic form of religion, in which all individual religions—Christianity, Judaism, Islam, Buddhism, etc.—participate, the view that all religions nevertheless share some descriptive feature or some cluster of features in common is still a commonly held one. However, the scholarly impasse on this matter of definition should make us at least provisionally skeptical about this assumption. It goes far beyond the scope of this paper to re-construct an exhaustive history of efforts to identify essential elements in religion, but a brief examination and evaluation of the three main types of definitions that have been put forward is warranted. We will take, in turn, substantive, functional, and phenomenological definitions. Substantive definitions are those that refer to the content of religious beliefs2, typically beliefs in supernatural or spiritual entities. Functional definitions are those that refer to some social or psychological function, such that anything that fulfills said function(s) counts as religious. Finally, phenomenological definitions—sometimes categorized under substantive definitions, but best treated separately for our purposes—are those that refer to some special experience, such as of awe or majesty, or even dread. Broadly speaking, there are two competing challenges faced by would-be definers of religion, which I call the Buddhism Problem and the Football Problem respectively. As we shall see, the Buddhism Problem is that of unduly narrow specificity or exclusivity: definitions that exclude phenomena that the relevant linguistic community (e.g., scholars of religion) would rather include. In contrast, the Football Problem is that of promiscuous inclusivity: definitions that include phenomena that the relevant linguistic community would rather exclude. The different definitional strategies tend to face these two problems to different degrees, though all strategies are at risk of failing to solve both. Substantive definitions are prone to struggle with the Buddhism Problem. Take the classic Tylorian definition, for example: Tylor’s (1871) still influential “minimal definition of religion” as “belief in Spiritual Beings” has often been said to be inadequate because it excludes phenomena, such as the ostensibly atheistic Theravada Buddhism (though see Sloane 2004), which most people—scholars and lay-people alike—recognize as being religious (e.g., Durkheim, 1912; Southwold, 1978). Of course, the neo-Tylorian might bite the bullet and insist that Theravada Buddhism is not, pace our intuitions, a religion after all, but then her general theories would not get much traction in her scientific community if it fails to account for what most scholars consider a prominent example of the phenomenon: after all, science is among other things a social phenomenon. The other obvious response to this charge of over-exclusivity is to widen the scope of terms like “Spiritual Beings”. While this temptation is an understandable one, it is an unpromising strategy. This business of specifying a definition for additional terms within the definition of “religion” merely pushes the problem back a step; furthermore, terms like “sacred” or “spiritual” or “supernatural” are not easily defined. One is as likely to face objections against attempts to define those terms as one is regarding “religion”. Indeed, this is demonstrably the case, as we can see from attempts in the philosophy of religion to define the term “supernatural”. Take, for example, Draper’s (2005) widely-accepted definition of the supernatural, in which x is supernatural just in case that x is not a part of nature and x can affect nature (where nature refers to the spatiotemporal universe of physical entities together with any entities that are ontologically or causally reducible to those entities, and where physical entities are those entities studied by physicists and chemists and that we assume are real). To be sure, Draper is attempting to be very cautious here, trying to avoid his own problems of over-inclusivity and over-exclusivity: he wants to include ghosts and exclude gravitational fields. But even on Draper’s own admission, the definition is likely to be controversial, particularly to anyone who disagrees with him about realism regarding unobservable hypothetical scientific entities (e.g., tachyons, gravitational fields), causal and ontological reductionism, the remit of physicists’ and chemists’ subject matters, and so forth. Furthermore, it is not as though there is general agreement over what counts as “the spatiotemporal universe”; are, for example, other universes in the multiverse included? It is also unclear whether Draper’s definition succeeds in avoiding over-inclusivity. By design, this definition of the supernatural includes God, angels, demons, Cartesian souls, and their ilk; but it arguably also includes as by-catch such abstracta as Platonic numbers (cf. Ye, 2010). Given that mathematical Platonism is not uncommon among physicists, Draper’s definition simultaneously privileges a particular scientific discipline while also undermining a popular assumption within it. He might argue that mathematical abstracta count as items in the ontology of physics just because many physicists believe in them, but that raises the question of whether to include all the metaphysical assumptions that physicists just happen to hold. Indeed, there is a sense in which Draper’s attempt to define the supernatural is a sort of passing of the buck to physicists, who—for whatever reason—get to determine what counts as natural. All of this detour into definitional issues in philosophy of religion is just to show that pushing back the problem from defining “religion” to defining terms like “supernatural” is an unpromising way to get out of the Buddhist Problem: indeed, on a sufficiently broad conception of the supernatural, it might lead substantive definitions directly into the Football Problem, typically faced by functional definitions, to which we now turn. Lest we are tempted to think that substantive definitions are the only problematic ones, we should note that functionalist definitions have fared no better. Take, for example, Geertz’s (1966, 4) definition of religion, slightly more long-winded than Tylor’s pithy formula: “(1) a system of symbols which acts to (2) establish powerful, pervasive, and long-lasting moods and motivations in [humans] by (3) formulating conceptions of a general order of existence and (4) clothing these conceptions with such an aura of factuality that (5) the moods and motivations seem uniquely realistic” (emphasis added). In this case, without specifying what the “moods and motivations” might be, Geertz’s definition potentially includes such phenomena as fanatical football fandom—hence, the Football Problem—as well as cosplaying and the serious engagement in Massive Multiplayer Online Role-Playing Games (MMORPG). Perhaps MMORPGers are less likely to believe that their virtual lives are real to quite the same extent that religious believers accept the reality of the spiritual realm, but the difference on this point is a matter of degree and not of kind (cf. Geraci, 2010; 2014). Similarly, Durkheim’s (1912/2005, 46) definition of religion as “a unified system of beliefs and practices relative to sacred things, that is to say set apart and forbidden, beliefs and practices which unite into one single moral community, called a church, all those who adhere to them” (emphasis added) suffers both from the vagueness of the term “sacred” and the fact that many social phenomena—the examples above will do just as well—might also fit the bill. Other functionalist definitions—those that assert that the amelioration of death anxiety is what makes an activity religious, for example (e.g., Donovan, 2003)—are equally prone to falsification by the discovery that there are diverse means to assuage one’s fear of death that are of little relevance to social scientists of religion (Jong, 2014). Phenomenological approaches that posit a special experience of the sacred (e.g., Eliade, 1959) or numinous (Otto, 1917/1923) or divine (e.g., James, 1952) as the defining characteristic of religion are simultaneously at risk of failing to overcome both the Buddhism and the Football Problems. First, there is much doubt about over what counts as “sacred”; there is at least a problem in deciding who gets to decide what counts as sacred or profane. Do we, the scholars decide from the outside, or do the people we are studying get to decide from within? There is also the related problem that—at least on some ethnographic accounts—not all peoples evidence any such special religious experiences; Evans-Pritchard (1956) famously claimed that the South Sudanese Nuer people experience no such thing in their otherwise recognizably religious lives. Thus, the Buddhism Problem in this case becomes the Nuer Problem. Thirdly, ineffable feelings of dread or majesty are also found outside what most scholars would consider to be religious activity, for example during wilderness adventures (e.g., McDonald et al., 2009). Indeed, prominent atheists explicitly promote experiences of awe and wonder outside religious contexts (e.g., Dawkins, 2011). James’s (1952, 31–32) influential—albeit admittedly arbitrary—definition of religion as “the feelings, acts, and experiences of individual men [sic] in their solitude, so far as they apprehend themselves to stand in relation to whatever they may consider divine” (emphasis added) is potentially very broad indeed, particularly as it allows for idiosyncratic emic definitions of the divine. The Buddhism Problem and the Football Problem are the Scylla and Charybdis of scholarly efforts to define “religion”, the problems of stingy exclusivity on one hand, and promiscuous inclusivity on the other. Our poor track record on this definitional enterprise should give us pause. While it remains possible that there is an adequate albeit elusive definition of religion yet undiscovered that lists all and only all the necessary and sufficient conditions for considering a phenomenon as religious, it seems that we have good inductive reasons for disbelieving in this mythic creature. Put another way, we have good inductive—albeit admittedly negative—reasons for abandoning the deep-seated and intuitive assumption that religion is a natural kind, a category with an identifiable essence. As the quest for a watertight definition of religion is motivated at least in part by this assumption, giving up the assumption should raise questions about what the aim of our definitional project should be. Indeed, insofar as the essentialist assumption is itself motivated by a desire for a general theory of religion, scholars may have to reconsider the aim of their scholarly efforts altogether. If essentialism is a faulty assumption from which to begin our definitional project, we need another. Alternatively, we might abandon the effort to construct broadly acceptable definitions altogether, opting instead for a situation of semantic anarchy, in which individual scholars work with idiosyncratic definitions of their terms3. This latter option is undesirable, not least because—as has been mentioned earlier—science is a social enterprise, even as it is an epistemic one. Indeed, the inter-individual and inter-institutional checks and balances in contemporary scholarship are a crucial part of keeping it rigorous and truth-seeking, flawed as our current systems may be. The conceptual balkanisation that results from the proliferation of idiosyncratic definitions makes this kind of fruitful collaboration more difficult. Fortunately then, essentialism is not the only game in town. 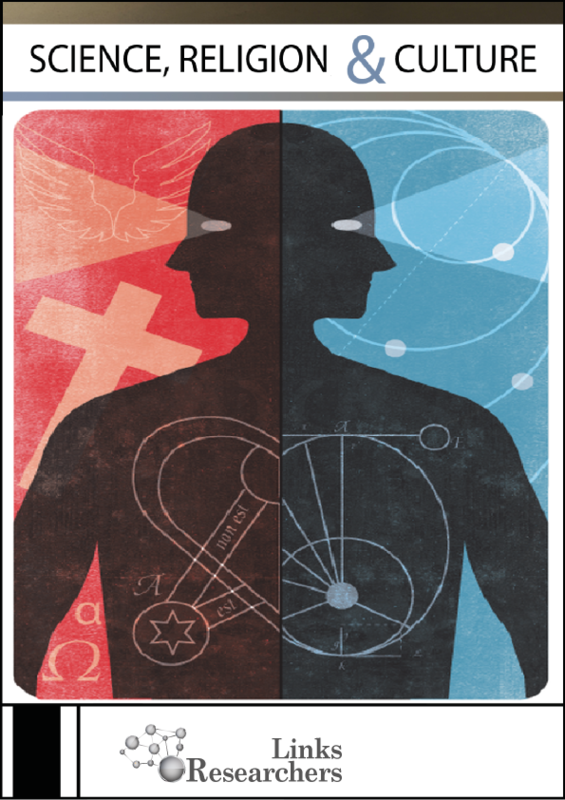 The past two decades has seen the birth and fecund growth of a new approach to the scientific study of religion—the cognitive science of religion (CSR)—that is now beginning to provide valuable insights on how to grapple with these definitional issues. Influenced in part by contemporary theories of cognitive architecture and in part by the empirical fecundity of this conceptual strategy, researchers in the cognitive science of religion fractionate religion into distinct—if commonly co-occurring—traits, to be analysed, examined, and explained separately (e.g., Boyer and Bergstrom, 2008; Whitehouse, 2008). That is, rather than assuming that there is an essential trait or causally connected cluster of traits that determines whether some phenomenon is a religious one, CSR takes seriously the diversity of human phenomena that we—scholars and laypeople alike, at least in the industrialised West—habitually lump together into this single category. Furthermore, rather than assuming that there can be a grand theory of religion featuring a causal silver bullet—some failure of rationality, or some social or psychological function, or some gene, or some neurocognitive module—that “explains religion” (the title of Boyer’s 2001 book—Religion Explained—notwithstanding4), CSR deals in specific hypotheses about specific features that often occur across religions traditionally conceived, but also elsewhere, in the secular world as it were. Thus, such phenomena as the belief in supernatural agents, ecstatic experiences, participation in causally opaque action sequences, formation of socially cohesive non-kin groups, obedience to moral codes, and so forth may contingently co-occur in different ways under different circumstances, in both ostensibly religious and nonreligious contexts. Furthermore, they are all products of different psychological mechanisms or cultural strategies, which themselves emerged to solve different evolutionary problems. Indeed, the causal relations between and among these phenomena are demonstrably variable and contingent. For example, reminders of religious belief can both increase behaviours that people generally consider morally good (e.g., generosity to strangers; Shariff and Norenzayan, 2007) and those that people generally consider morally bad (e.g., intergroup prejudice; Johnson et al., 2010). In laboratory- and field-based research, ritual participation has been shown to increase social cohesion in religious (e.g., Xygalatas et al., 2013), but also nonreligious (Wiltermuth and Heath, 2009) contexts; indeed, Xygalatas et al. (2013) found that participation in a high ordeal (i.e., painful) Hindu ritual increased identification with the nation (viz., Mauritius) over and against the religious group (viz., Hinduism). This approach to religion entails that some previously apparently intractable research problems turn out to be meaningless because they were predicated on a mistaken reification of religion. Does religion lead to moral behaviour? Is religion an evolutionary adaptation? These questions imply that there is such a coherent, identifiable thing as religion, such that it can lead to moral behaviour (or not), and be an evolutionary adaptation or a spandrel or an exaptation. Rather, this cognitive scientific approach to religion requires more specific questions: Does the belief in supernatural agents lead to increased socially-normative behaviour? Did participation in costly collective rituals confer reproductive advantages to our ancestors? Besides rendering research questions empirically tractable, fractionation also entails that these various recurring constituents may be found outside religions as they have been traditionally construed. In a sense, this is an embracing of the Football Problem: it is not that fanatical football fandom is an example of some coherent superordinate category labeled “religion”; rather, human phenomena that are commonly classified as “religious” and “nonreligious” or “secular” share psychological processes in common. Given this strategy, we are able to study the effects of synchronous behaviour in a variety of contexts; we can study chanting equally in the Buddhist temple and in the football stadium. We are able to study teleofunctional reasoning (Bering, 2011)—the tendency to think that objects exist and events occur for a reason—among confessed Christians and avowed atheists both. This strategy of fractionation along cognitive lines also seems to provide a fruitful way to define “supernatural”. Defined in cognitive terms, the supernatural refers to anything that violates automatic expectations derived from intuitive ontological categories (e.g., Boyer, 1994; Whitehouse, 2004). This definition includes entities typically considered gods, but also other things that seem far from being religiously relevant, like Mickey Mouse (Atran, 2002) and Santa Claus (Barrett, 2008). This breadth is acceptable because belief in the supernatural is not meant as a necessary and sufficient condition for religion. Supernatural or counterintuitive agents may or may not be worshipped; they may or may not feature in what we commonly consider to be religions, and we can therefore now ask—as Barrett (2008) does—why Santa Claus is not a god (see also Gervais and Henrich, 2010). Fractionation shuts some questions down as meaningless or misguided, and it also opens up further questions to be explored. The upshot of all of this is that there is no such thing that answers to the name “religion”; there are only distinct phenomena that sometimes co-occur and are contingently related to one another, sometimes in things we habitually label religious and sometimes in things that we habitually label secular. If there is no such thing as religion, then the quest for a general definition of “religion” is misguided, as is the quest for a general theory of religion. We may be able to define the various phenomena scholars of religion are interested in, but not “religion” itself; we may be able to explain these various phenomena and the relationships between them, but not religion as a whole. This seems to merely push the problem back a step, but unlike in the case of substantive definitions considered above, this retreat is not in the service of salvaging the project to define “religion”: rather, we are abandoning that project altogether. Furthermore, as we have seen, there are ways to define terms like “supernatural” and “ritual”, so long as we tolerate the presence of supernatural beliefs and ritualistic practice outside the traditional domain of religion studies. Lee’s (2012) definition of “nonreligion” with which we began is parasitic upon definitions of “religion”. If, as this paper contends, there is no general definition of religion to be had, then there is no general definition of “nonreligion” to be had. On the face of it, this seems to consign the social scientific study of religion and nonreligion both to the anarchy of an infinitude of idiosyncratic stipulative definitions. Not so, as the fecundity of the cognitive science of religion demonstrates. The proposal is not that scholars should define “nonreligion” in any way they like, but that they should be vigilantly specific about the aspect of “nonreligion” that they are interested in. This proposal is both more and less radical than it first appears. The sense in which it is less radical is that the move away from exhaustive definitions can also be seen in other scientific disciplines, particularly in the biological and psychological sciences. The terms “gene” and “innate”, for example, have multiple referents (e.g., Stotzet al., 2004; Mameli and Bateson 2011). “Gene” might refer to a structural unit (i.e., a specific stretch of DNA) or a functional unit (i.e., a stretch of DNA that plays a specific role in the building of a particular enzyme or protein or the development of an observable trait). If the structural and functional conceptualizations of genes were co-extensive, we would have a relatively unproblematic and definable concept. Unfortunately, advances in genetic research problematize this view: the two definitions turn out to be empirically dissociable, as any given stretch of DNA might serve different functions, depending on its transcription context (see Griffiths and Stotz, 2007 for review). “Innateness” might live in even murkier conceptual waters, likely because of its common use in folk as well as professional scientific contexts. Innate traits may refer to traits that are genetically determined (assuming for sake of argument that it makes sense to talk about traits that are genetically determined), or those that appear early in development, or those that are environmentally canalized, or those that are unlearnt, and so forth. These—even more so than the two main conceptualisations of the gene—are empirically dissociable phenomena. Indeed, there is increasing skepticism among cognitive scientists and biologists that “innateness” is a useful scientific concept at all (e.g., see Griffiths, 2002; Jong and Visala, 2014; Mameli and Bateson 2011; Samuels, 2007). One way forward is to abandon the term “innate” for more specific terms, each referring to the specific phenomena listed above. So it is with “religion”. The sense in which this proposal is perhaps more radical than it first appears is in its implications for the disciplinary boundaries of religious studies. The abandonment of the definitional project opens up the study of religion to any phenomena that include the posited nonessential constituents of religion, such as the ones mentioned above: the belief in supernatural (i.e., counterintuitive; or minimally counterintuitive, cf. Boyer, 2001) agents, the participation in collective causally-opaque actions, the formation of socially cohesive non-kin groups, obedience to moral norms, and so forth. If this seems too promiscuous, the field, such as it is, may be limited to a subset of these features. It is not uncommon in the cognitive science of religion to have a quasi-Tylorian focus on the belief in supernatural agents, for example; the difference between this and traditional neo-Tylorian approaches is that it denies that this belief in supernatural agents is either an essential or an exclusive part of what it means for a phenomenon to be religious. That is to say, it is not jealous about its boundaries. It should therefore come as no surprise that CSR researchers have been as interested in religious adherents as well as atheists, in religious rituals as well as in nonreligious ones, in religious morality as well as in secular ethics. The boundary between the religious and the nonreligious—whether conceived of in etic or emic terms—is not so much blurry than simply nonexistent, at least in any objective and absolute sense. Scholars of nonreligion—particularly those like Lee (2012), who define nonreligion in terms relative to definitions of “religion”—are confronted by the fact that there is no viable definition of religion, and that this entails an opening up of their research remit. On this view, the salient absence of religious beliefs is no more central to the field of nonreligion studies than, for example, the salient absence of religious affiliation or rituals. It is perhaps already obvious that the Christian atheism of some liberal Anglicans (e.g., Mountford, 2010) and the atheistic religiosity of some recent humanist philosophers (e.g., de Botton, 2012; Dworkin, 2013) fall equally within the remit of nonreligion scholarship. But what of groups that maintain supernatural beliefs and religious affiliations while abandoning the ritualism of traditional religion? They too are nonreligious, if no one element is essential to the religiosity of the group. Indeed—to move to an emic mode for a moment—the claim that Christianity is not a religion is in fact one commonly made by American evangelicals and other similar groups. Lee (2012, 133) rightly calls for scholars of nonreligion to emulate scholars of religion in their reflexivity regarding definitional practices; and she rightly points out that “nonreligion”, as she has defined it is, “is a working concept that should be useful as long as the concept of religion is”. There is indeed a robust tradition in the social sciences of critical discussions about how to define “religion”, and in these flurried attempts, some scholars have realised that different definitions—substantive, functional, or otherwise—pick out different particulars or different features of particulars (e.g., Baird, 1971; Berger, 1974). The skepticism about essentialist assumptions—explicit or otherwise—in religious studies is hardly new (e.g., Arnal and McCutcheon, 2012; Smith, 1962; Smith, 1982), though this paper argues that there are now more and better reasons for maintaining this skepticism, and advocating the effective abandonment of “religion” as a useful scientific concept. This is not to say that “religion” is a wholly useless word. Like many nonscientific terms, it may have perfectly valid currency in popular discourse. “Bugs” is not a term of any biological utility, but serves well when we want to talk about the sorts of creatures we would rather not have in our kitchens, including insects and arachnids, slugs and worms; “shrubs” is similarly scientifically useless, but perfectly serviceable when discussing domestic horticulture. Similarly, “religion” (and, by extension, “nonreligion”) may serve various social functions. Names of departments and academic journals and scholarly organizations and conferences may want to keep these words, and so be it. After all, like “bugs” and “shrubs”, “religion” may remain useful as an umbrella term for all the disparate sorts of phenomena mentioned earlier, without privileging some over others as the core or essence of any scholarly discipline. Let us end with some old lessons retold (and retold). The idea that religion is not a natural kind—that it does not have an identifiable essence, that it works better as a folk category than a scientific one—is, as I have just mentioned, hardly a novel one. Our intellectual forebears also realized that by picking out different particular phenomena or different aspects of different phenomena, different definitions of “religion” lead to different explanatory strategies, and thus, different theories. At times, these theories were assumed to conflict, as they all purported to be theories about one and the same thing called “religion”. The conflicts disappear, however, once we realize that the different theories—predicated as they are on different definitions of religion—have different explananda. Some theories were about apples, and others were about oranges, but both were put in the religion aisle. This is a cautionary tale about expressing ourselves and reading others clearly, and taking care not to assume that theories of religion (and, by extension, nonreligion) refer to the same phenomena or aspects thereof. Finally, we should take more seriously the dictum to which we usually pay lip service, that definitions are and ought to be provisional. Even if there were a watertight definition of religion and nonreligion to be had—one that lists all and only all the necessary and sufficient conditions for a phenomenon to count as religious or nonreligious—it must come not at the beginning of a nascent research programme, but at the end. Or, better yet, critical questions about how we use our terms should be asked over and over again, in light of new theories and evidence. If we learn nothing else from our subjects, we might want to pay heed to that old slogan of the Protestant Reformation and be a research discipline reformed, always reforming. Arnal, William, and Russell T. McCutcheon. The sacred is the profane: the political nature of “religion”. Oxford Oxford University Press. Baird, Robert D. 1971. Category formation and the history of religions. Berlin: Mouton de Gruyter. Bering, Jesse. 2011. The God instinct: the psychology of souls, destiny, and the meaning of life. London: Nicholas Brealey Publishing. Boyer, Pascal. 1994. The naturalness of religious ideas: a cognitive theory of religion. Berkeley: University of California Press. Boyer, Pascal. 2011. The fracture of an illusion: science and the dissolution of religion. Göttingen: Vandenhoeck & Ruprecht. Dawkins, Richard. 2011. The magic of reality: how we know what’s really true. London: Bantam Press. de Botton, Alain. 2012. Religion for atheists. London: Hamish Hamilton. Donovan, James M. 2003. Defining religion. In Stephen D. Glazier and Charles A. Flowerday (eds.). Selected readings in the anthropology of religion (pp. 61-98). Westport: Praeger. Durkheim, Émile. 1912/2008. The elementary forms of religious life. Translated by Carol Cosman. Oxford: Oxford University Press. Dworkin, Ronald. 2013. Religion without God. Cambridge: Harvard University Press. Eliade, Mircea. 1959. The sacred and the profane: the nature of religion. New York: Harvest Book. Evans-Pritchard, E. E. 1956. Nuer religion. Oxford: Clarendon Press. Geertz, Clifford. 1966. Religion and a cultural system. In Michael Banton (ed. ), Anthropological approaches to the study of religion (pp. 1–46). Oxford: Routledge. James, William. 1952. The varieties of religious experience: a study in human nature. London: Longmans, Green and Co.
Johnson, Megan K., Wade C. Rowatt, and Jordan P. LaBouff. P. 2010. Priming Christian religious concepts increases racial prejudice. Social Psychological and Personality Science 1:119–126. Jong, Jonathan. 2014. Ernest Becker’s psychology of religion forthy years on: a view from social cognitive psychology. Zygon: Journal of Religion and Science 49. Mountford, Brian. 2010. Christian atheist: belonging without believing. Winchester: O-Books. Otto, Rudolf. 1917/1923. The idea of the holy: an inquiry into the non-rational factor in the idea of the divine and its relation to the rational. Translated by John W. Harvey. Oxford: Oxford University Press. Robinson, Richard. 1950. Definition. Oxford , Clarendon Press. Samuels, Richard. 2007. Is innateness a confused notion? In Peter Carruthers, Stephen Laurence, and Stephen Stitch (eds. ), The innate mind, vol. 3: foundations and the future. Oxford, UK: Oxford University Press. Smart, Ninian. 1996. Dimensions of the sacred. London, UK: FontanaPress. Smith, Jonathan Z. 1982. Imagining religion: from Babylon to Jonestown. Chicago: The University of Chicago Press. Smith, Jonathan Z. 1998. Religion, religions, religious. In Mark C. Taylor (ed. ), Critical terms for religious studies (pp. 269-284). Chicago: The University of Chicago Press. Smith, Wilfred C. 1962. The meaning and end of religion. Minneapolis: Fortress Press. Spiro, Melford, E. 1966. Religion: problems of definition and explanation. In Michael Banton (ed. ), Anthropological approaches to the study of religion (pp. 85–126). Oxford: Routledge. Tylor, Edward B. 1871. Primitive culture. New York: Harper & Row. Whitehouse, Harvey. 2004. Modes of religiosity: a cognitive theory of religious transmission. Walnut Creek: AltaMira Press. Whitehouse, Harvey. 2008. Cognitive evolution and religion; cognition and religious evolution. Issues in Ethnology and Anthropology 3:35–47. Wittgenstein, Ludwig. 1922. Tractatus logico-philosophicus. Translated by Charles Kay Ogden. London: Routledge & Kegan Paul. Whitehead, Alfred N., and Bertrand Russell. 1927. Principia mathemtica (2nd ed.). Cambridge: Cambridge University Press. Worthington Jr., Everett. 2007. (ed.). Handbook of forgiveness. New York: Routledge. See also Quack’s (2014) manifesto for a “relational approach” to the study of nonreligion that similarly “relates” nonreligion to religion, such that the nonreligious is that which is differentiated from but takes its significance from religion. This is not quite right. While most substantive definitions do focus on religious beliefs, some—like Ninian Smart’s (1996) approach—cover the content and character of behaviours and experiences too. However, that even Smart subtitled his book “An anatomy of the worlds beliefs” is telling. Jonathan Z. Smith’s proposal that religion can be defined “in more than fifty ways”, should not be taken as promoting such semantic anarchy. After all, he proceeds to say that there still needs to be a “generic concept that plays the same role in establishing a disciplinary horizon…There can be no disciplined study of religion without such a horizon” (1998, pp. 281–282). As with many other academic disciplines. the growing popular literature on CSR is a fallible guide to the theoretical and methodological assumptions of working scientists, even when they are written by the scientists themselves.